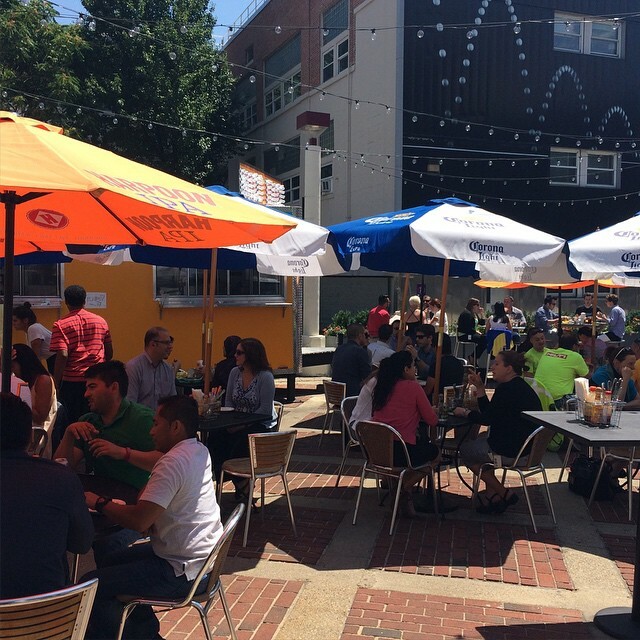 Naco Taco was a food truck in Boston that recently took their success and transformed their ideas into a restaurant. Located on 297 Massachusetts Avenue in Cambridge, Naco Taco is easily accessible by T (short walking distance from Central Square or Kendall Square stops) and buses. They opened their doors while I was working at Flour across the street so I couldn’t wait to finally check them out! The restaurant sports a large outdoor patio with the actual food truck parked right on the premise. While there was regular table-side service, the servers grabbed some of the food ordered from the windows of the food truck. Our waiter was super nice and attentive and did a great job at trying to up-sell the menu asking if we would want chips and salsa or second rounds of drinks. Their drink menu featured numerous Mexican beer, beer cocktails and a few wine/sangria options. What I really like about their food menu was that you can literally order as much or as little as you want. 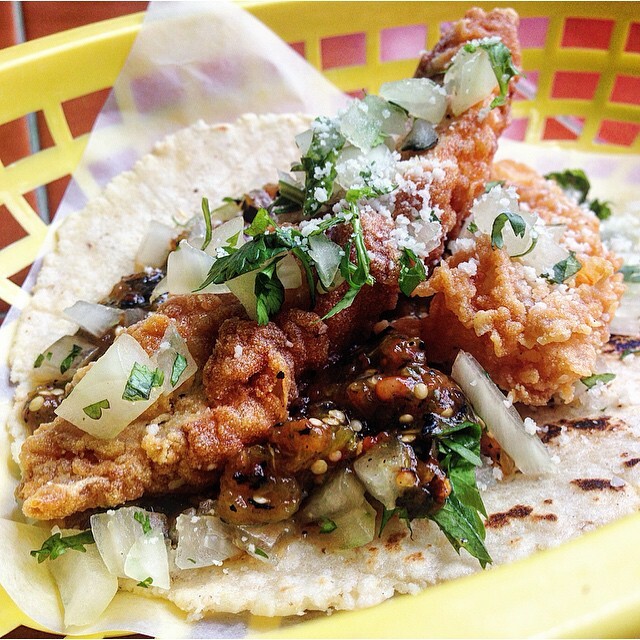 The pricing on the menu is based per taco so you can easily predict what you’ll be getting. I ordered an al pastor taco and a side of street corn to share with my friend. 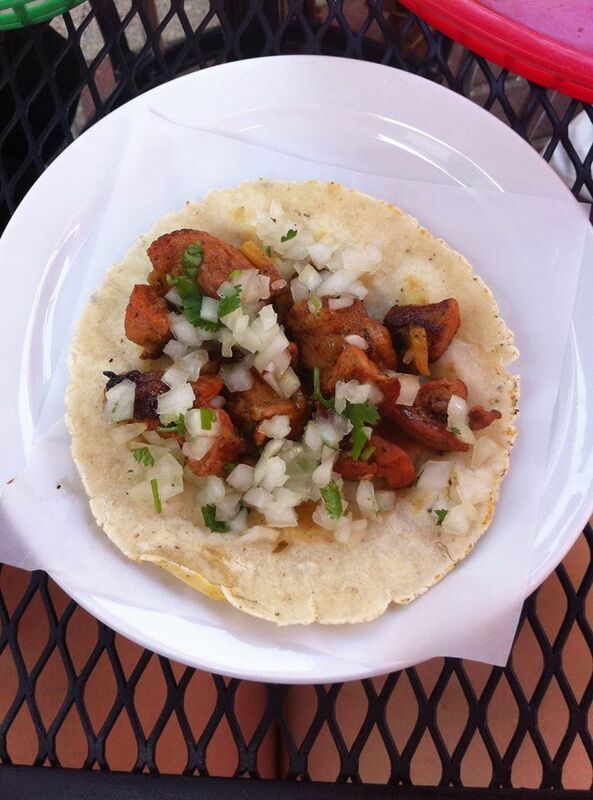 The al pastor taco was made with spit roasted pork and burnt pineapple. It was the perfect size for a light lunch with my side of street corn. I think the taco could’ve been a little more flavorful or feature a sauce to keep it from being too dry. I would give the taco 3 Abby stars. The street corn is what got me. I love corn, especially in the summer. 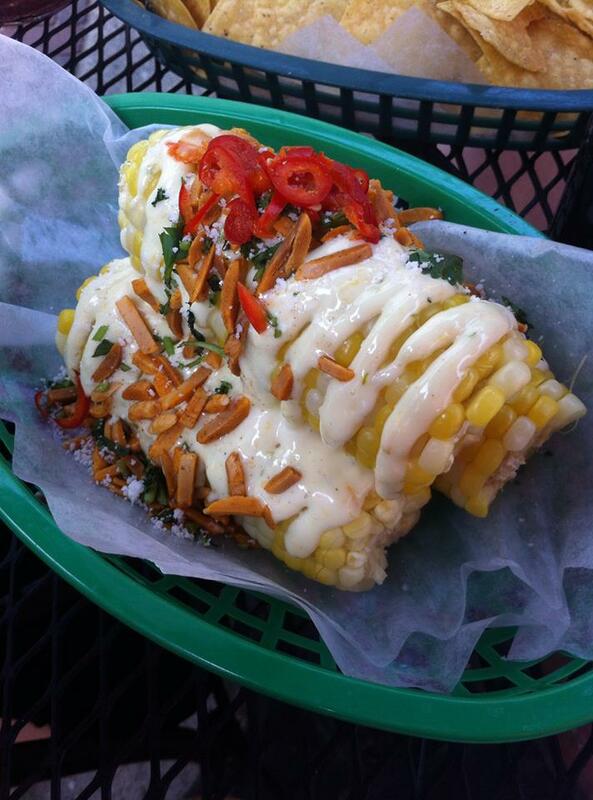 And I love nothing more than corn smothered in cotija cheese. Depending on the week, the street corn is prepared in different ways, but ours came with cotija, pine nuts and thin slices of peppers. I can dig it. 5/5 Abby stars. My friend also got their chips and salsa which was pretty good! I would definitely recommend this place as a meet up spot for after work drinks and light apps. 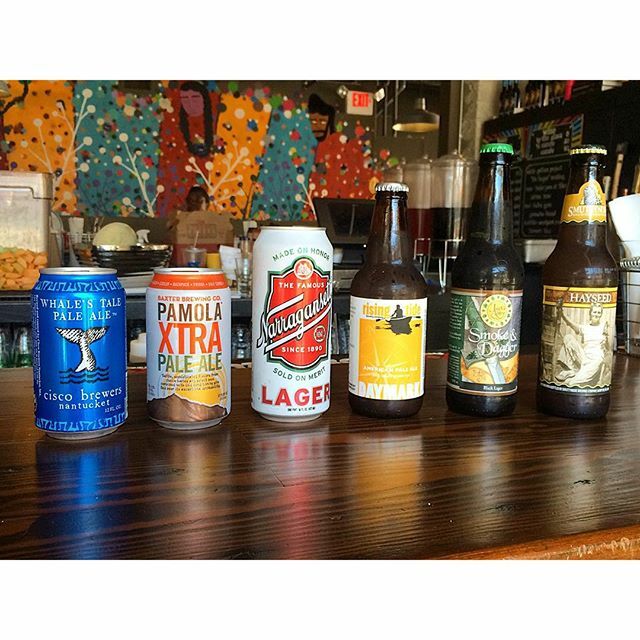 The patio is awesome for the summer and the inside of the restaurant is pretty large with a cool, relaxed vibe. Definitely a great addition to Central Square! As always, does anyone have a Boston restaurant recommendation? I’m always looking for new places to try! If you liked what you read, you can hit the follow button at the top of the page (for my fellow wordpress friends) or you can click follow by email on the right side of the web page to receive my posts weekly via email! Have a great weekend and check back on Tuesday to read about my first kayaking experience along the Charles River!